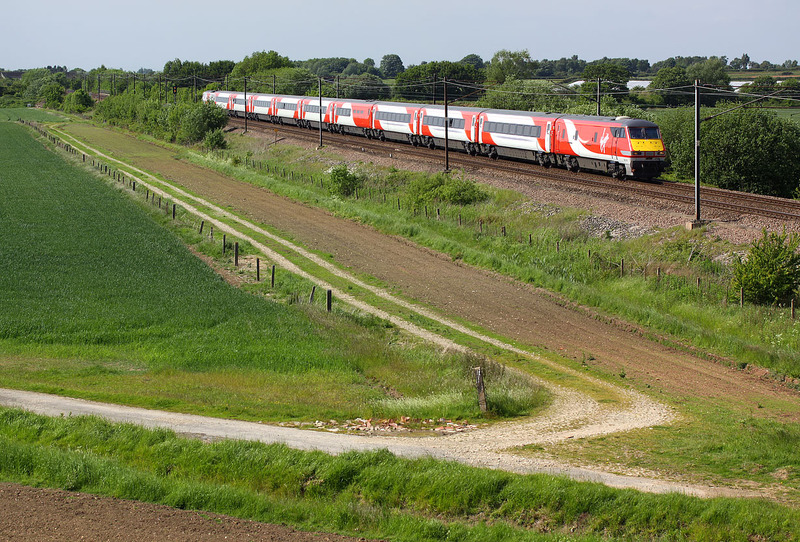 A distinctive new look for the East Coast Mainline. 82218 leads the 1E17 13:30 Edinburgh to Kings Cross East Coast service past Burn on 4 June 2015. The silver an red livery certainly makes a contrast to the all pervading green that makes this time of year so poor for photography.